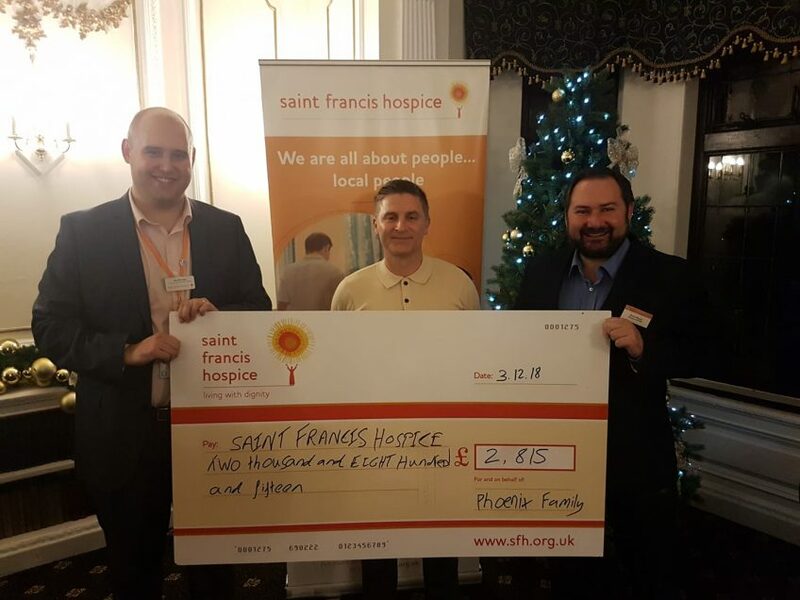 A big thnk you to everyone who came to the Phoenix FM fundraiser for Saint Francis Hospice which took place last month at Shenfield Cricket Club. We raised a whopping £2,815 – the most we’ve ever raised in a single evening event! Big thanks to everyone who bought auction items – there were some very generous people in the room. The evening was part of our regular Phoenix Family series of relaxed networking events which have been increasingly successful this year – especially on the fundraising side. We’d like to say extra big thanks to Steve McCarthy of The Mortgage Specialists and Ross Marshall of Exquisite Magazine for sponsoring and to Gary Grant from Starstruck Autographs for providing the auction items. And finally a big thank you to Claire Pritchard for your lovely curry and to Keeley Smith for the fantastic entertainment! It’s great to raise money for such a good cause, but how about this for a frightening statistic – £2,815 is just over ONE TENTH of what Saint Francis Hospice have to raise every DAY! You can find out more about the Hospice’s current events and fundraising by visiting sfh.org.uk – or listening to their regular slots on Mike Porter’s Breakfast Show. Hope to see you all at the next one!